I originally wasn’t going to write about this rumor because it just seemed so far-fetched, but in the past 24 hours, it’s received a TON of attention from movie sites. Be warned that this article may contain mild spoilers for Batman v Superman: Dawn of Justice and Suicide Squad. Nothing too bad, though. According to El Mayimbe from Latino Review, an unused Robin costume will be featured in the Batcave in BvS. This costume belonged the second Robin, Jason Todd, who was killed off by the Joker. This story point carries over into Suicide Squad, where the Joker and Harley Quinn will be estranged due to Quinn feeling guilty about Todd’s death. In the comics, Jason Todd is somehow resurrected. He then returns to Gotham City as an anti-hero known as the Red Hood. This rumor claims that the Red Hood has become a “priority character” for DC, and that the directors of John Wick are being eyed for the Red Hood movie adaptation. If true, that’s a pretty huge scoop. The Red Hood is a comic book fan favorite, and I would be super excited to see him on screen. But how accurate could this rumor be? Let’s break that down a little. The Red Hood has the most interesting backstory of any Batman sidekick, one that would work wonderfully as a big screen adaptation. This is exactly the kind of thing I was hoping for when we first heard that BvS would take place later in Batman’s crime-fighting career. The Red Hood is just one of Batman’s sidekicks in a whole family of allies. We’ve never been able to see the Batman Family fully formed on screen because each reincarnation of the big guy starts over from his origin. This movie would be a welcome announcement, as it would open up so many possibilities for Batman on film. As exciting as a Red Hood movie would be, I’m not buying this rumor as of yet. If true, this would be big news. But with this kind of rumor, you have to ask a few questions. What suddenly made DC see the Red Hood as a priority character? You certainly don’t have anything in the movie world that signals the rise of the Red Hood. Not many moviegoers know about him, and heck, the majority of moviegoers don’t even know that there are multiple Robins. Also, what do you define as “priority?” If “priority” means anytime in the next five to six years, we may have a few problems. Warner Bros. has already announced their full lineup of superhero movies from now until 2020. As of now, we’re set to see two movies a year from DC, and that’s without taking into account the unannounced Batman and Superman solo movies. 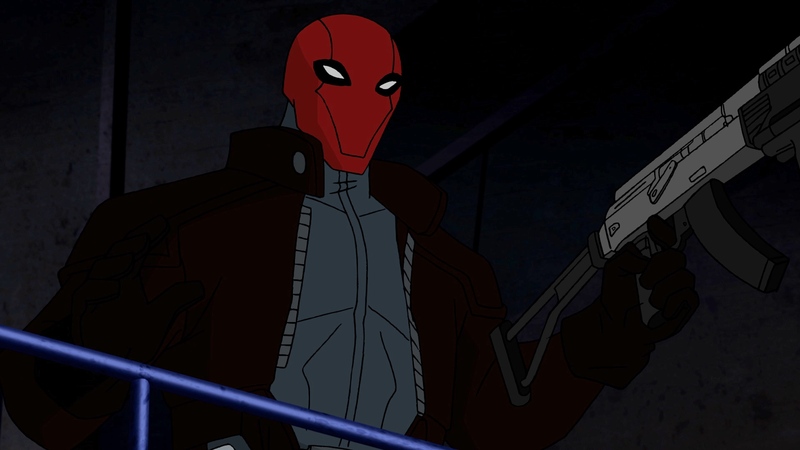 An additional movie devoted to the Red Hood would mean we’d get up to three big-budget DC movies a year, which would leave Warner Bros. with a very small margin for error. It’s not impossible, but as of now, I’m regarding it as improbable. What do you think about this rumor? Would you go see a Red Hood movie? Categories: Comics, Movies, News, SuperheroesTags: Batman, Batman v Superman, Dawn of Justice, DC Comics, El Mayimbe, Harley Quinn, Jason Todd, Joker, Latino Review, Red Hood, Robin, Suicide Squad, Warner Bros.